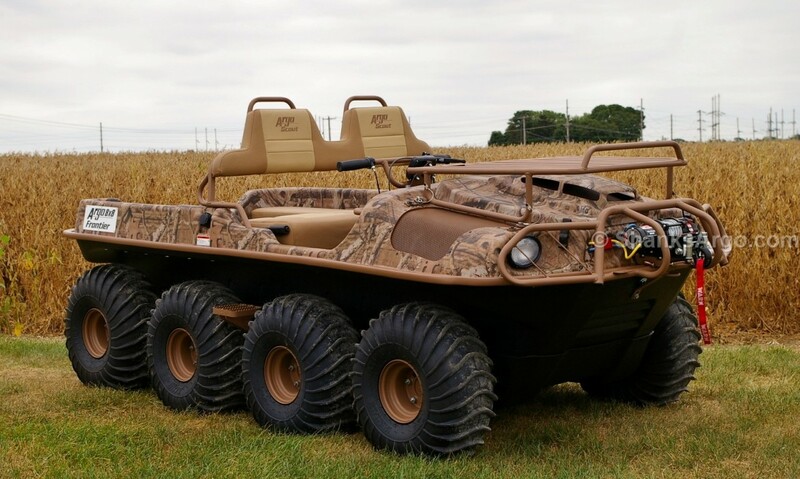 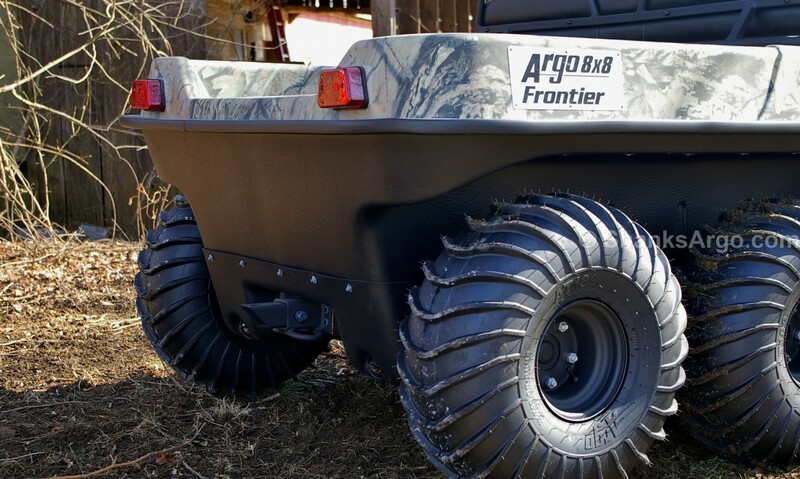 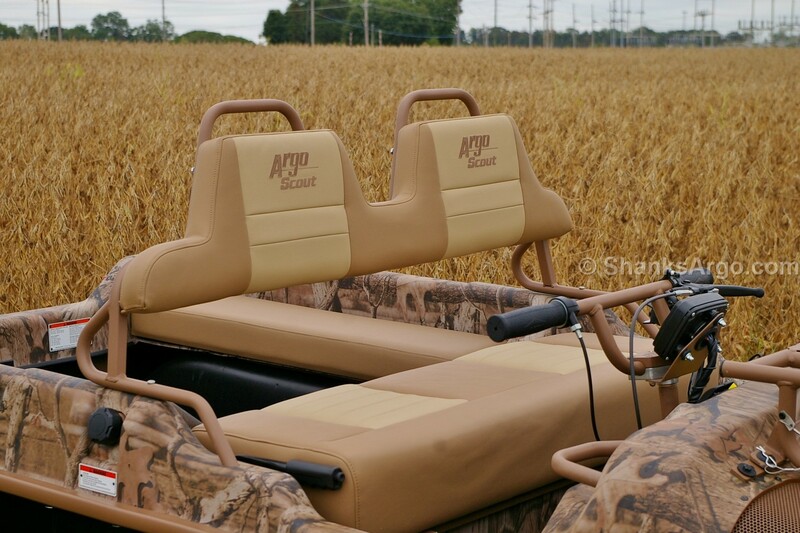 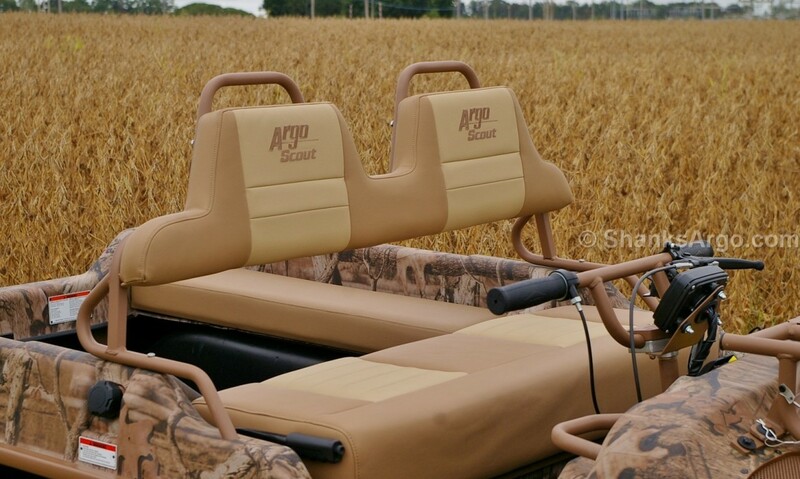 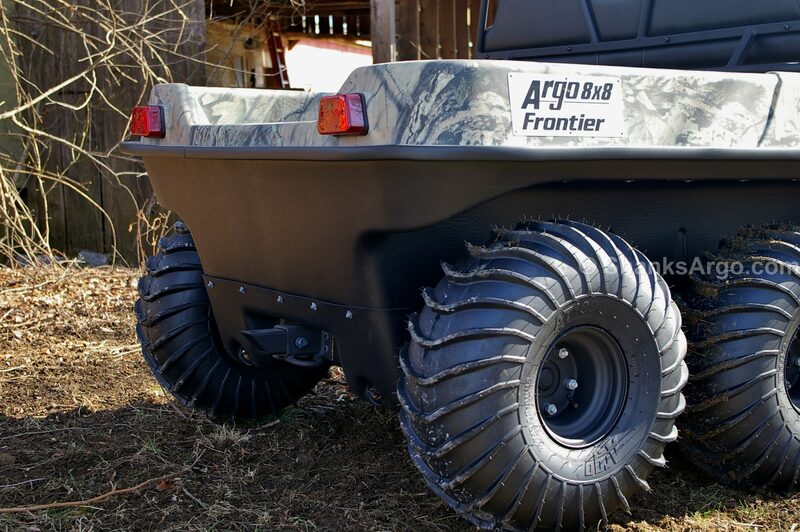 The ARGO Frontier Scout 8X8 S is loaded with accessories to help you get the most out of your next hunting or fishing trip. 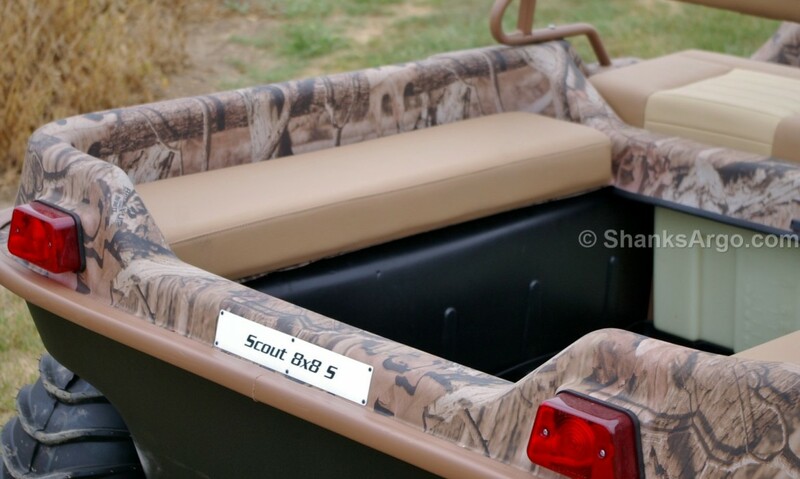 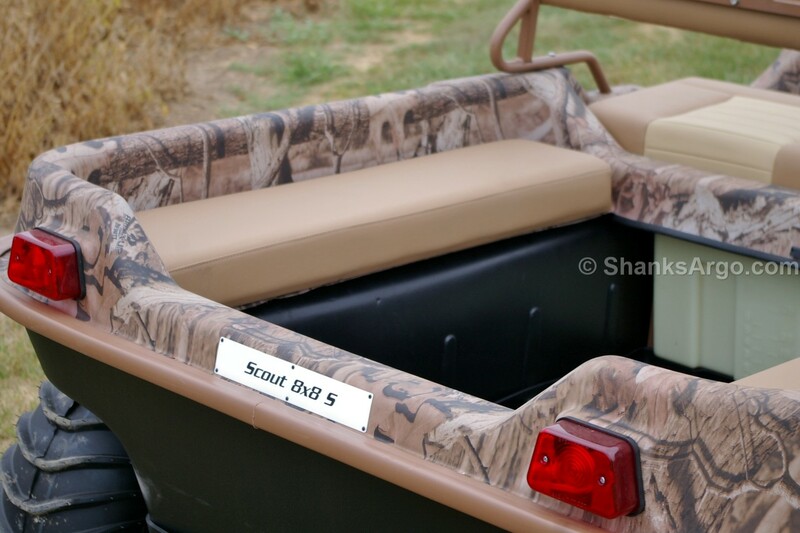 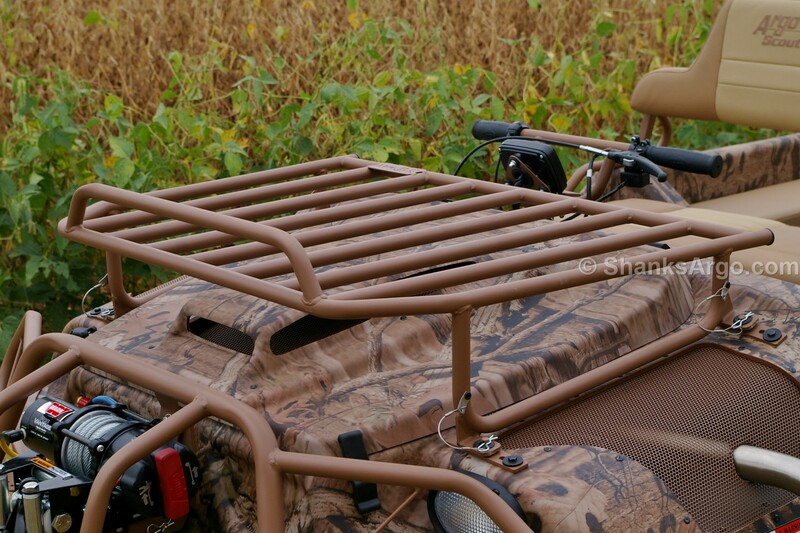 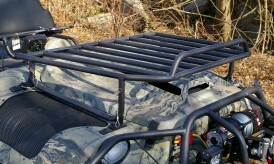 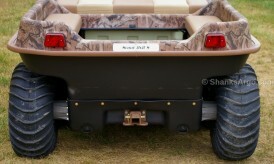 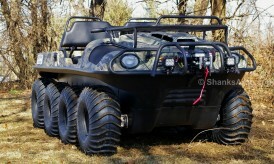 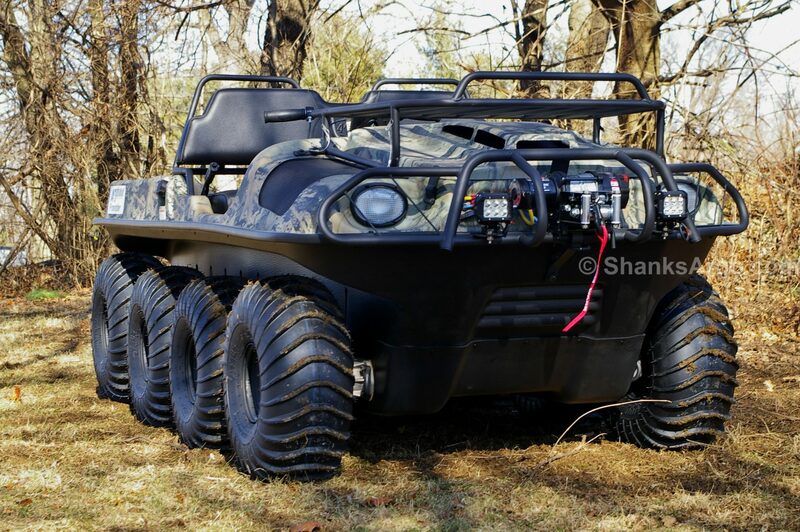 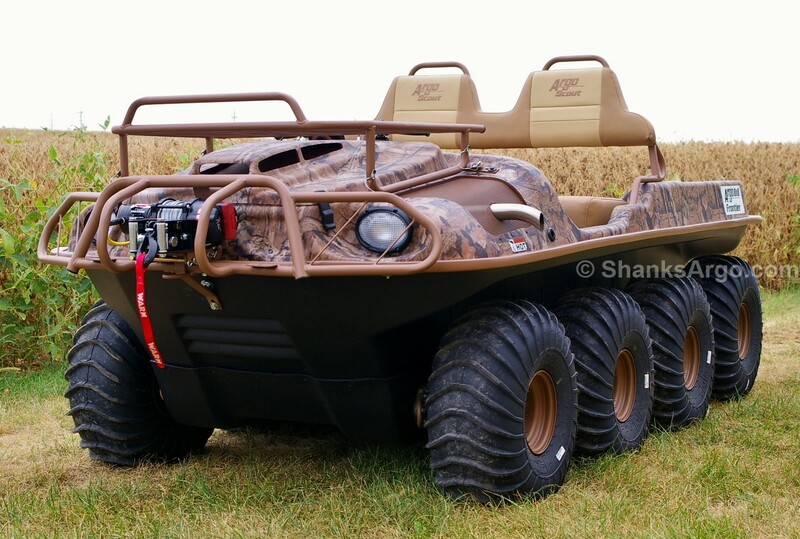 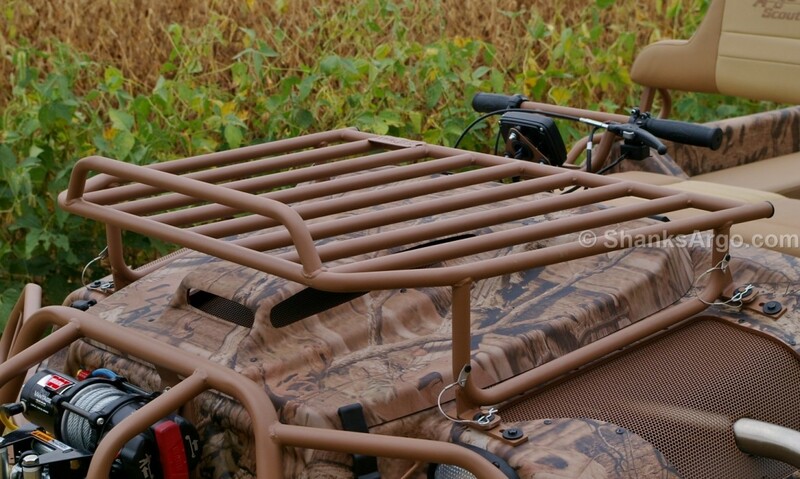 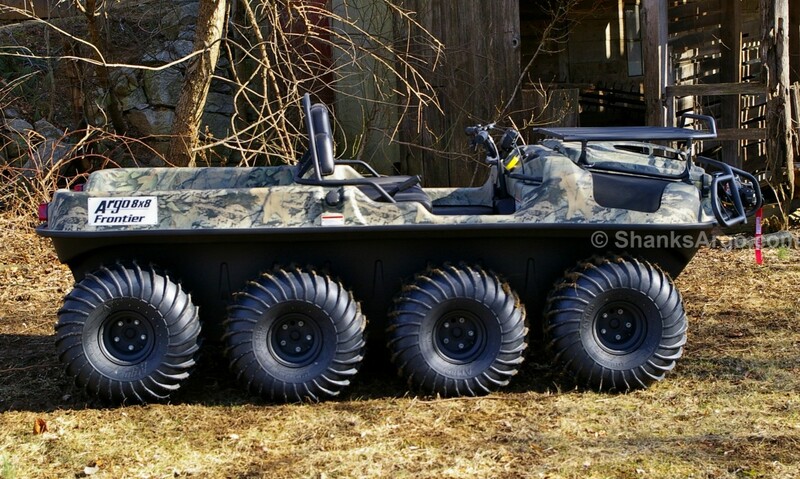 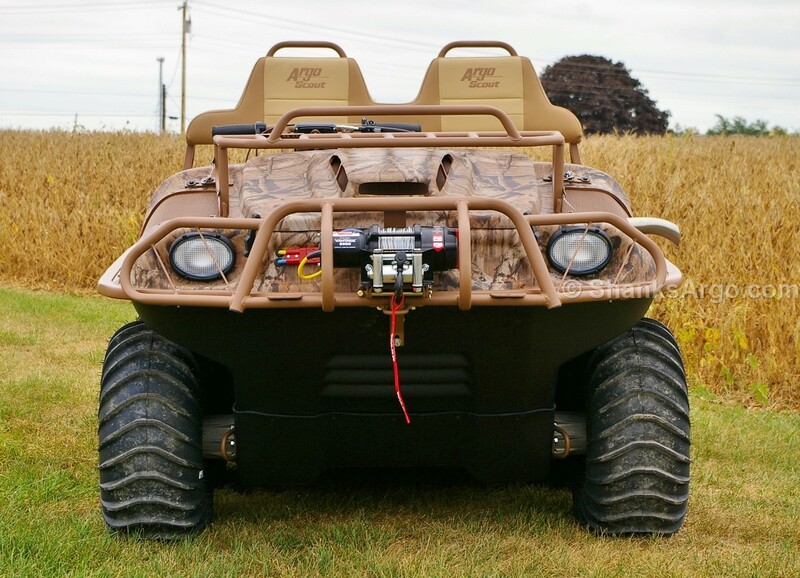 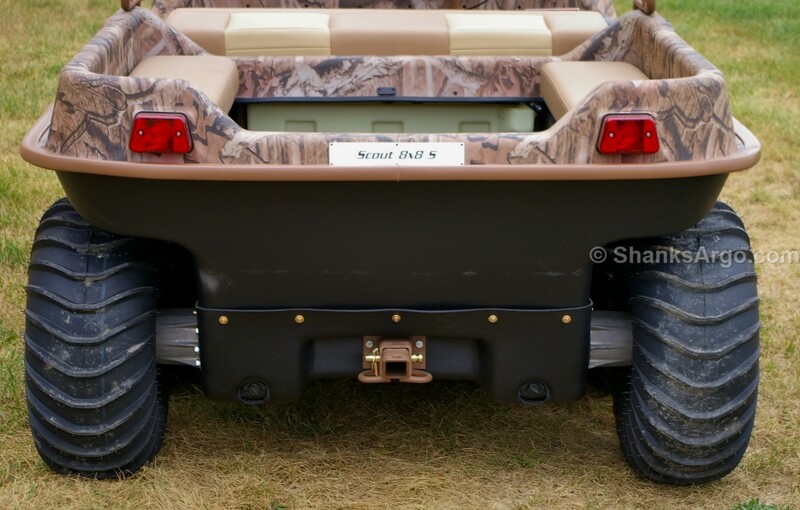 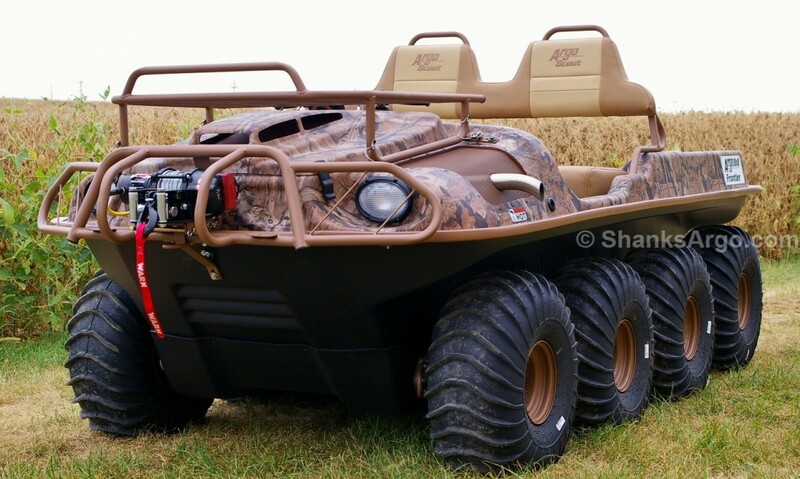 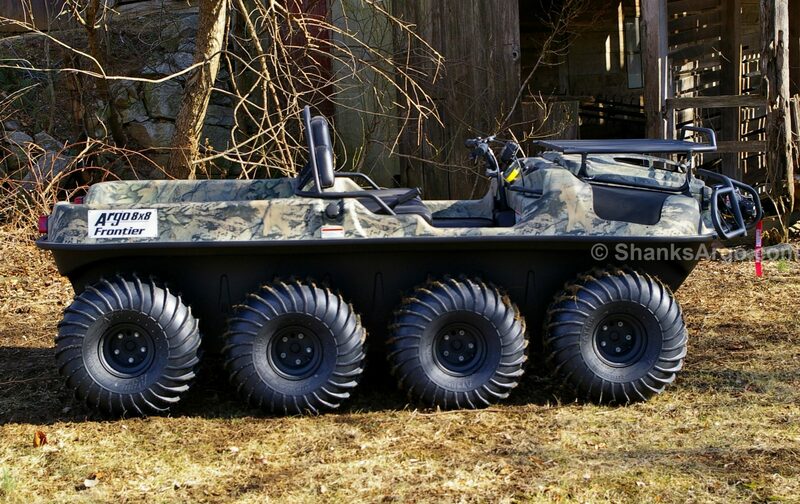 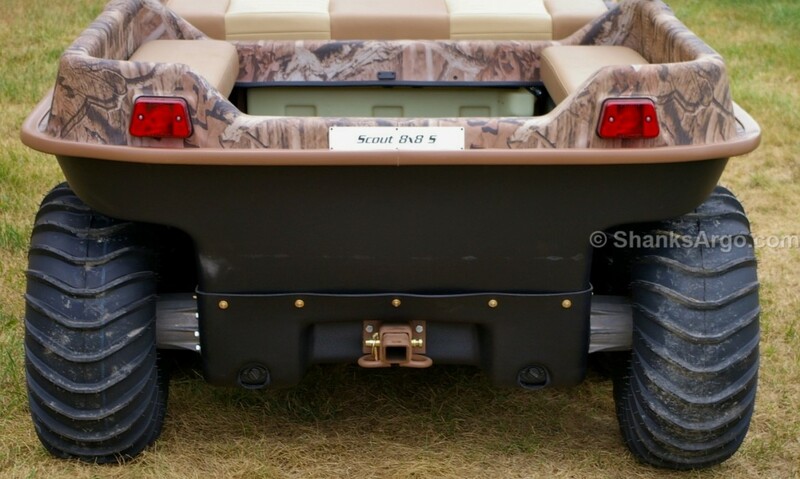 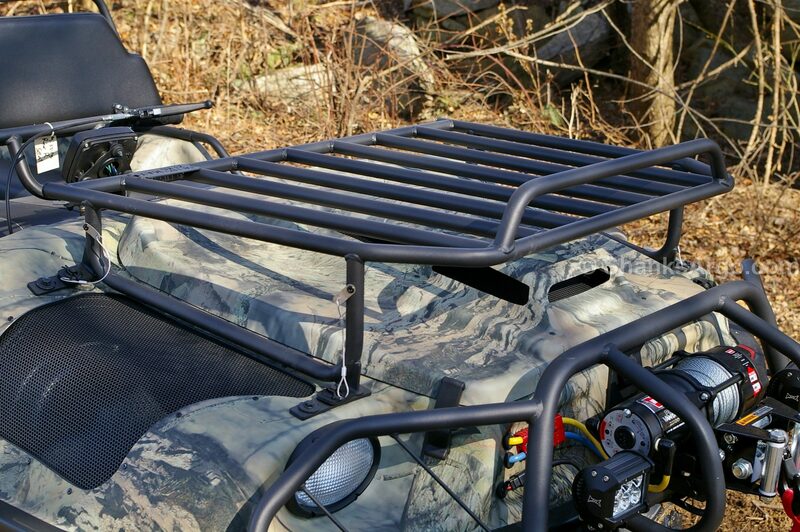 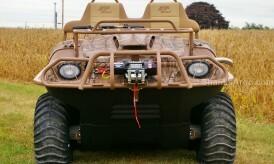 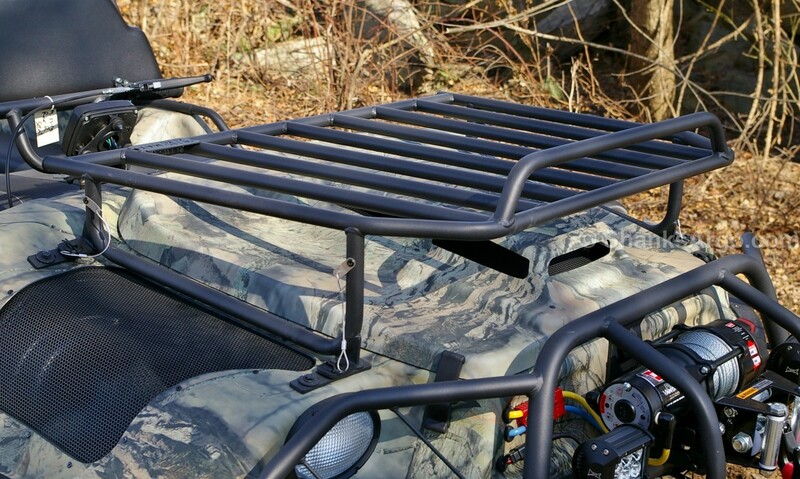 This includes a standard front rack, brushguard, as well as a 3,500 lb Warn winch. The Scout S is available in two camo patterns from Mossy Oak: Break-Up Country and Shadow Grass Blades. 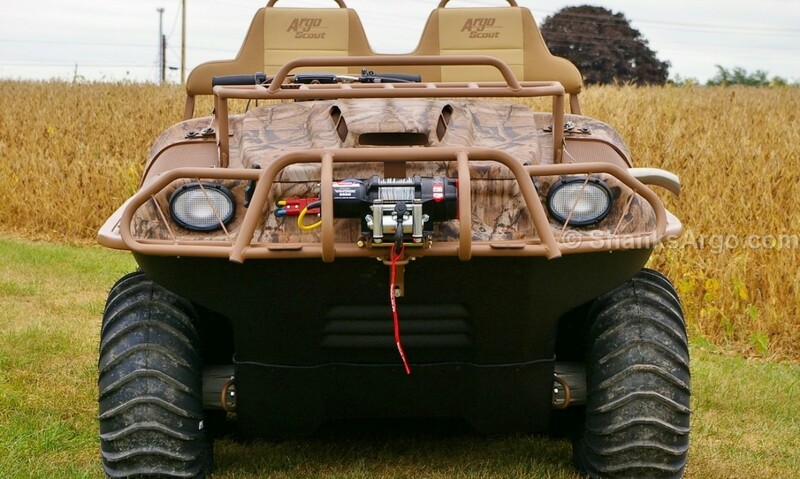 A 26 HP Kohler Command Pro V-twin and a standard or high torque transmission provide enough power to carry a maximum of 830 lbs. and up to 6 passengers.